Bay Area art lovers, prepare thyselves for a very full weekend. Two fairs descend on San Francisco beginning Thursday, and everyone is pulling out the stops. FOG Art+Design (located at Fort Mason’s Festival Pavilion) and Untitled, San Francisco (trying out venue number three at Pier 35) bring 112 exhibitors (some local, some from as far away as Warsaw and Taipei) to the northeast edge of San Francisco for a weekend of art viewing, accompanying events and—the exhibitors hope—sales. If you’re an gallerygoer without much wall space or pocket change to spare, fairs are a chance to see offerings by out-of-town galleries, take the temperature of other regions’ art scenes and make note of venues to visit should you happen to find yourself in London, Madrid or, more easily, Los Angeles and New York. And if you’re a collector, fairs are pretty much all of the above, but with the added possibility of purchasing work. It can all be a bit overwhelming, but in addition to strolling through rows of booths filled with beautiful things, FOG and Untitled offer visitors a variety of extra programming in the days to come (which may help justify the $25 and $35 ticket prices, respectively). At 4:30pm on Thursday, Jan. 17, FOG (uniquely divided between fine art offerings and design objects) features the Bay Area’s favorite nonagenarian artist and designer, Barbara Stauffacher Solomon, in conversation with SFMOMA architecture and design curator Jennifer Dunlop Fletcher. (Stauffacher Solomon’s work is currently on view as part of the museum’s Sea Ranch exhibition.) The talk is titled “Make it Happy, Kid!” and if that alone isn’t enough incentive, revisit last year’s interview with Stauffacher Solomon for a taste of just how delightfully no-nonsense she is in person. This year’s art fair weekend coincides with the now-annual Women’s March, and instead of ignoring that fact, Berkeley-based artist Masako Miki (whose work is up at BAMPFA in the latest MATRIX show) welcomes Untitled visitors to a preemptive poster-making workshop on Friday, Jan. 18, 1–5pm. In that vein, the final event on FOG’s slate (scheduled for 1pm on Sunday, Jan. 20) is the panel “Art and Activism In and Out of Institutions,” including artist Nigel Poor (of the fantastic podcast Ear Hustle) and artist Stephanie Syjuco (whose open-source textile designs appeared prominently in early anti-Trump protests) in conversation with Milwaukee Art Museum curator Lisa Sutcliffe. Art fairs may be otherworldly events full of rarefied people and things, but the concentration of objects, time and space can also yield an inspirational energy that reminds everyone involved why they fell in love with art in the first place. 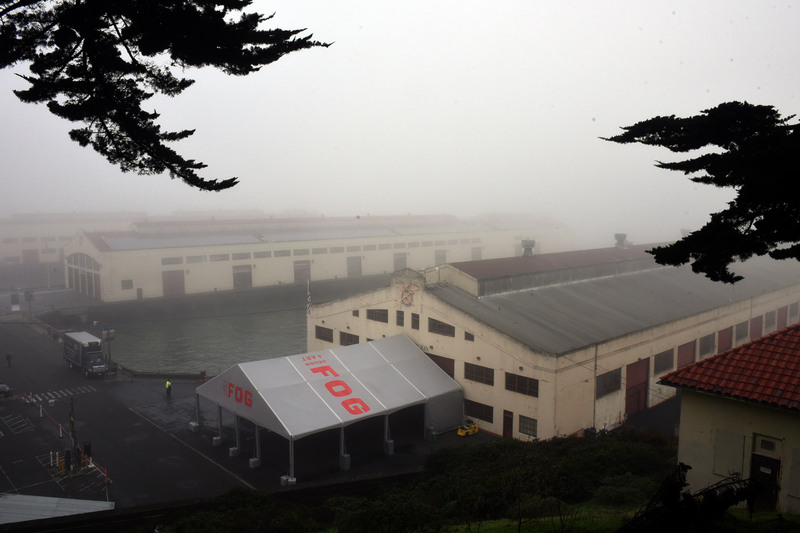 FOG Design+Art takes place at Fort Mason's Festival Pavilion Jan. 17–20. 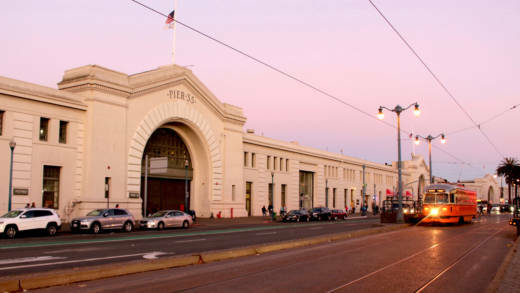 Untitled, San Francisco takes place at Pier 35 Jan. 18–20. A shuttle runs between the two fairs Friday through Sunday.